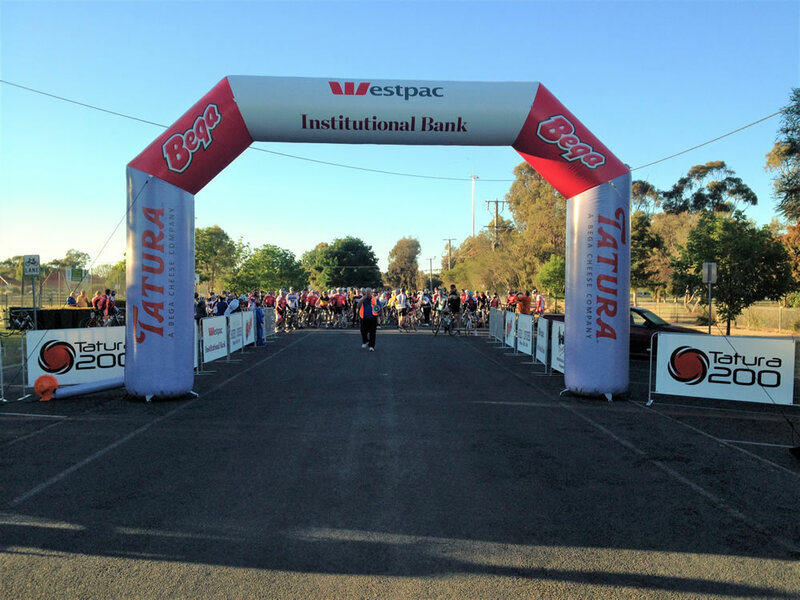 What a great way to start or end a sporting event or make stunning entry or exit points for community events, festivals and promotions. 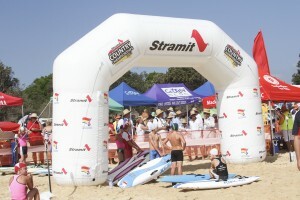 An inflatable gantry offers valuable onsite company presence and brand awareness. 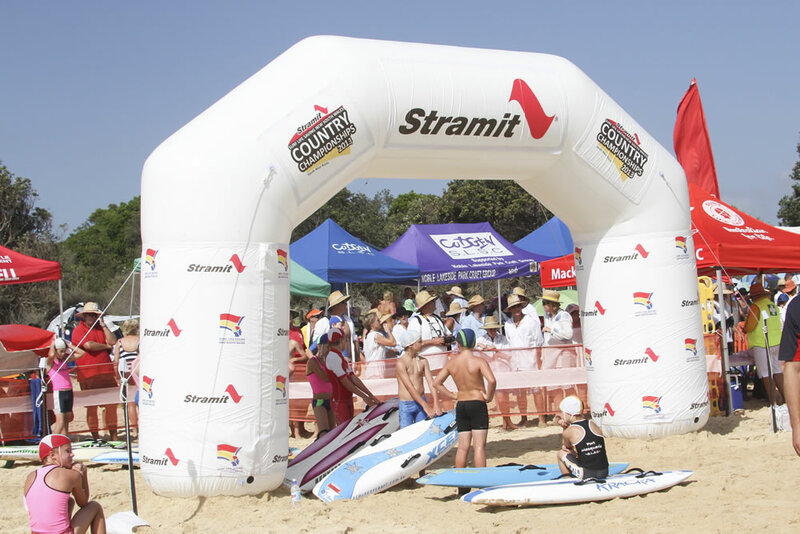 An inflatable arch can be utilized for a many occasions including entry points at corporate events, start/finish points at sporting events, event theming, product sampling …just to name a few. “But we want an Arch that fits our corporate profile and stands out”! We can custom design an arch to fit your special requirements or you can choose from our standard range of shapes. 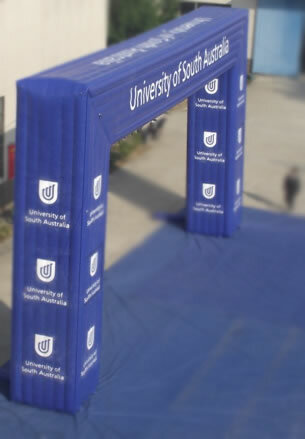 As with most of our inflatables, we can brand permanently or incorporate the use of interchangeable banners for altering events or sponsors. 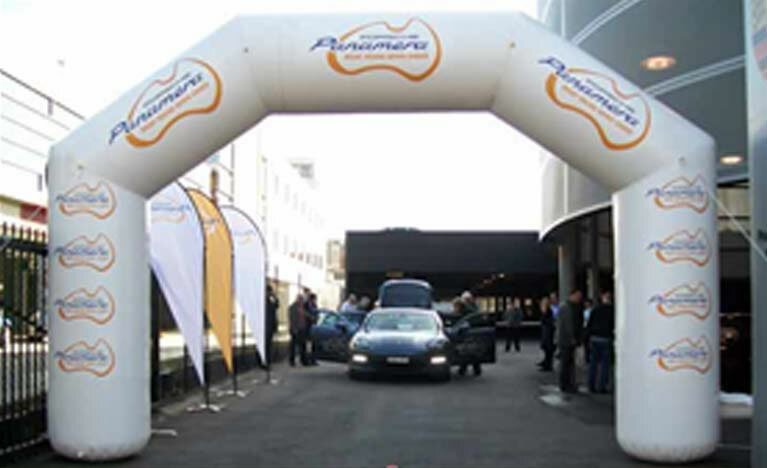 An Inflatable Arch is a great addition to your special event or promotion. 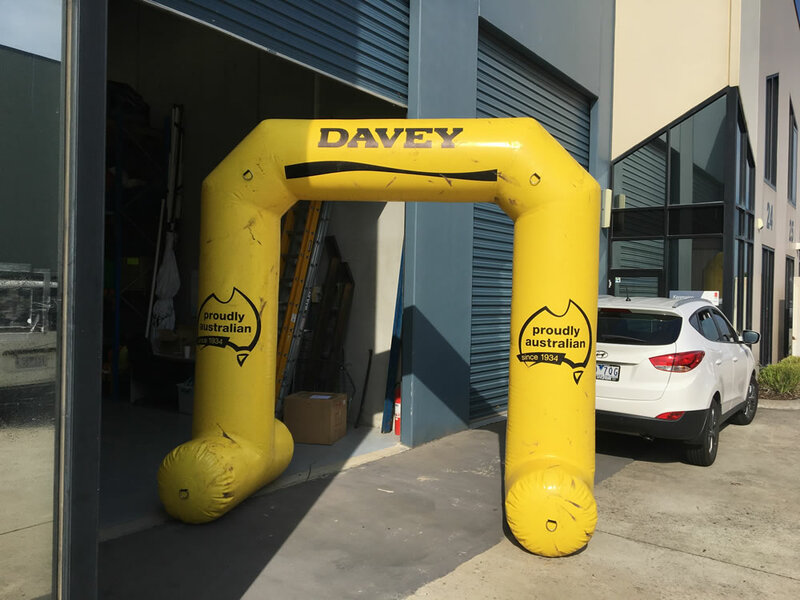 Archways are very handy and can be used on multiple sites as they require little effort to transport. 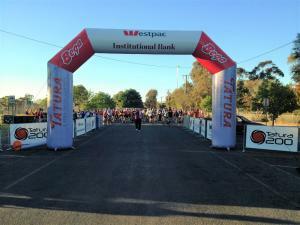 Custom designed to suit your requirements. 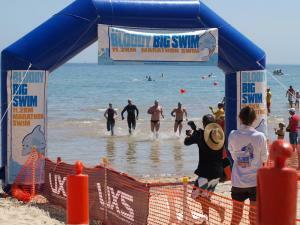 Production time for an inflatable arch is 3-4 weeks and prices range from $2800 + GST.